In early November, we met Henry & Cassandra on a double-date at Heritage Creamery. Over bowls of ice cream and fresh-baked cookies, we chatted about weddings and marriage and our love stories. We LOVE to hear how our Sweethearts met, the story of what brought them together and how they knew this relationship was different. So we asked Henry & Cassandra to tell us their story. 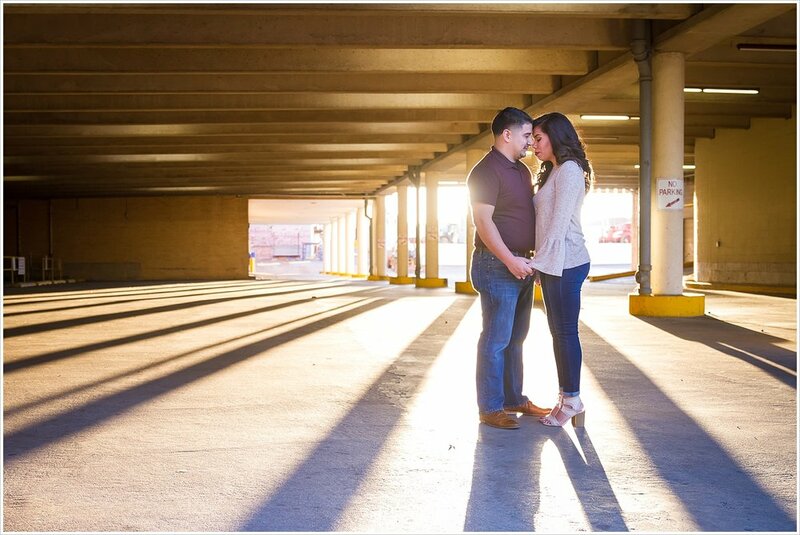 Both Henry & Cassandra grew up in the Waco area and met through their families’ involvement at their church growing up. But a couple of years ago they realized their friendship was growing deeper and they began dating. Not too long after, Henry asked Cassandra to keep this friendship going forever as his wife, and of course, she said yes. Once she said yes, they picked December 23rd, 2017 as their wedding date. This makes for the perfect Christmas-time wedding! We cannot wait to be with them at First Baptist Waco and see the gorgeous sanctuary decorated for their Christmas weekend wedding! 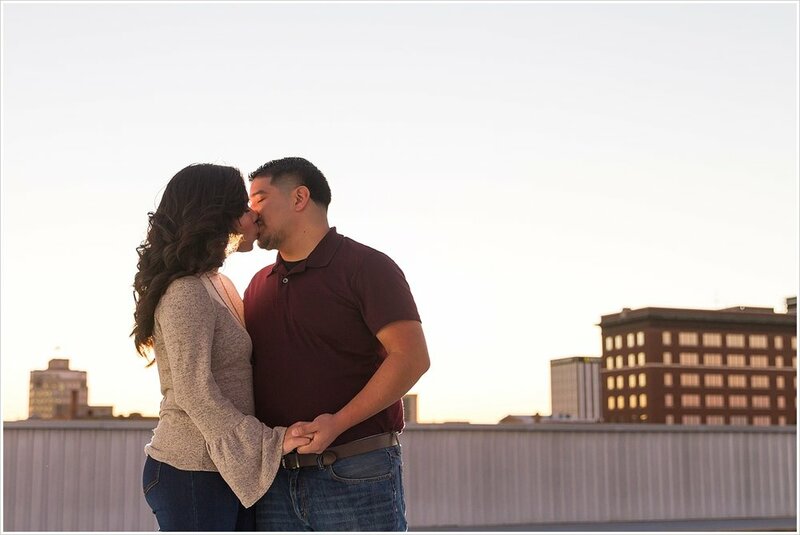 And since Cassandra is an elementary school teacher here in Waco, a December 23rd wedding gives them perfect honeymoon time during Christmas break! With only a few weeks between our Heritage double-date and their wedding day, we immediately set out picking a date for an engagement session. 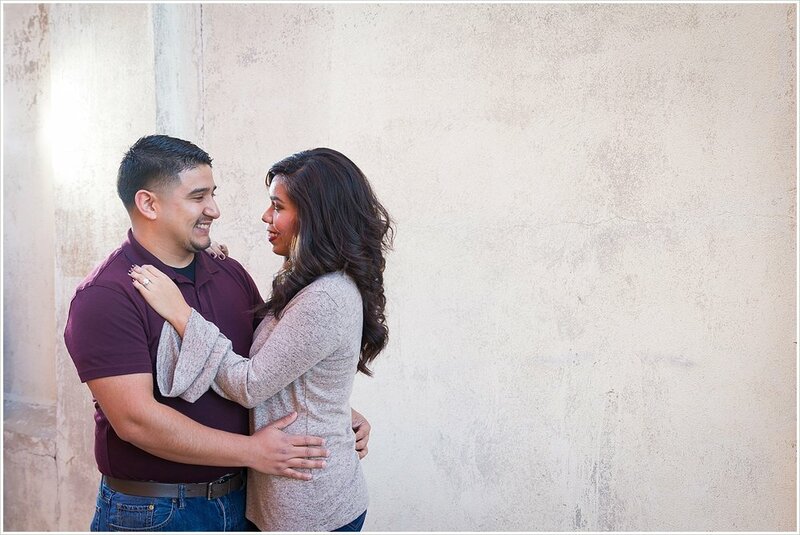 We gift each and every one of our J&M Sweethearts an engagement session and we were so glad we all had a Saturday free to make that happen before December 23rd! 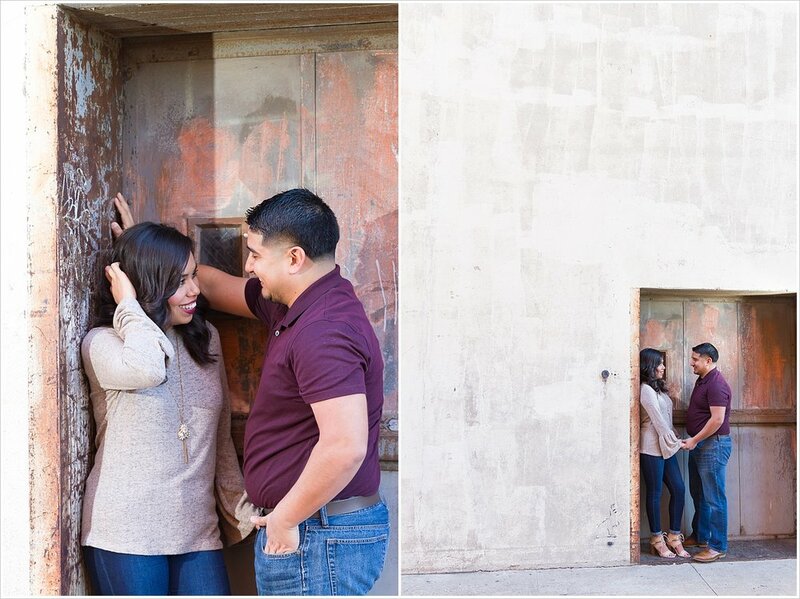 When Cassandra said they’d like to try a more city-vibe engagement session, we were so excited! 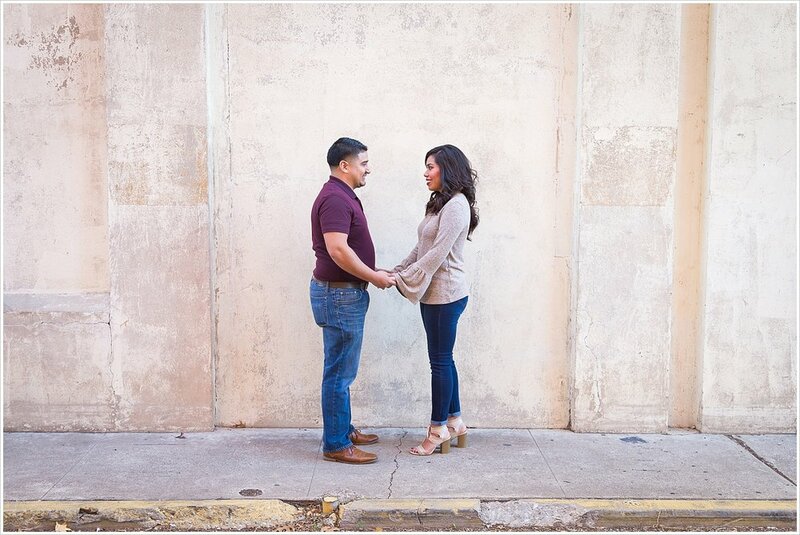 We love downtown Waco and all the beautiful nooks you can find walking around. And Henry & Cassandra were game to walking around and exploring with us! 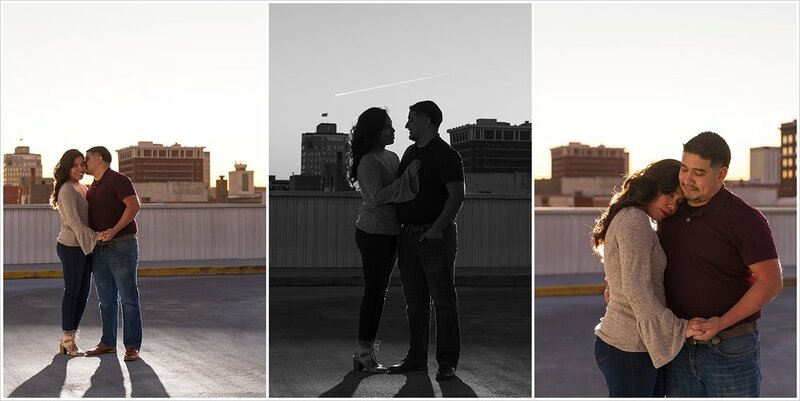 Though the sunset and the unexpected beauty found in downtown Waco were amazing, what really sets this engagement session apart for us is the natural ease Henry & Cassandra have with one another. Right out of the gate these two had a love you could see. They could stare into each other’s eyes for long periods of time. Their embraces showed a natural fit between the two of them, like they were meant to be together. Even when they were laughing together, or sometimes a little at each other, you could tell they were each other’s favorite person. Couples like Henry & Cassandra set a great standard for #relationshipgoals, and it's such a joy to witness that through our lens. We had such a blast with you guys downtown! Thanks so much for reminding us how it feels to be counting down the days until your wedding day. 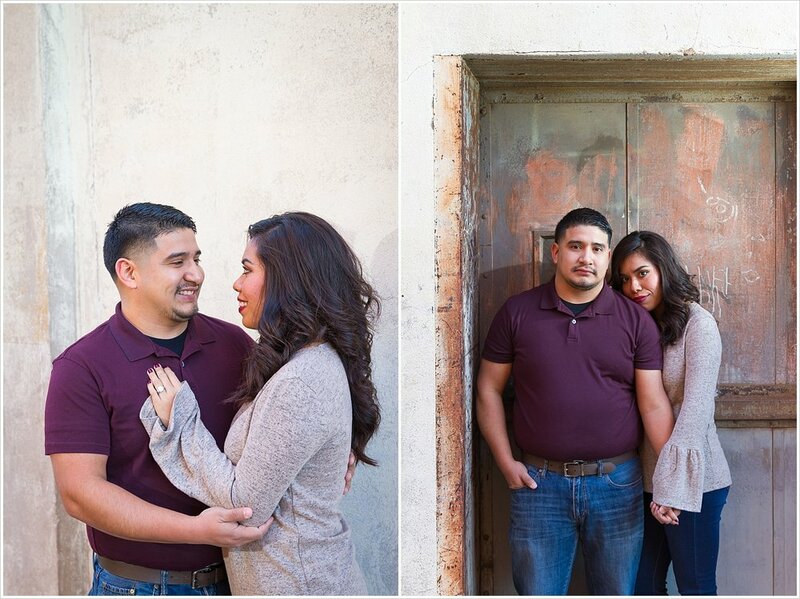 We can't wait to be with you guys this Saturday for your big day!